Welcome to Cosmic Oneness. I Am Lord Sananda representing the Christ Consciousness. We are at a cross-road of the Festival of the Christ that is the first of three ascension festivals in the next three months. We are bringing forth the ability to fully allow the control mechanisms within the Physical Body to be fully removed and, within this resurrection phase, it is important for each of you to bring forth within yourself – the acceptance of fully surrendering. We use the word Resurrection, we use the word Death experiences / Spiritual Death / Re-Birthing experiences, but within this, it is important to surrender. I put aside the word Resurrection at this point and allow each of you to fully bring forth the surrender that you are. As you surrender all those Inner Mechanisms within yourself, the control panel that you utilize so easily within the Mental Mind – to assist you in the process of your Pathway on this Physical Earth to remember that you are becoming Multi-Dimensional Beings of Light. Within these Multi-Dimensional Levels, it’s important for you to just move with each moment. Flow into it and not allow the Control Mechanisms of your Mental Mind – your Lower Mind, to activate any interference because that is where the problem will come in. I ask each of you, within your Lower Bodies, to take a deep breath in these moments, as we bring in the Frequencies tonight because we are going to put you through a very intense Frequency that is going to make you feel as if you are tumbling upside downside and inside out! But if you allow yourself to surrender into this moment, it will not be what you may think it is. So if you have anxiety in this moment because of these words that I am sharing with you, I ask you to surrender unto that anxiety. If you are fearful, allow yourself to run through the fear – see the fire in front of you – you’re going to walk right into that fire. As now I stand by, as the Cosmic Great Central Sun of the Divine Mother God are going to do their handiwork this evening. If you allow yourself to fully incorporate this Frequency within this evening, I guarantee you that this Resurrection phase will be the most powerful Element that you could ever fully accept within your Consciousness, within your Physical Mind – and to let go of the Lower Body. This is our goal this evening. I am Lord Sananda, at your service, standing by and walking you through this process. Namaste. I Am the Cosmic Great Central Sun of the Divine Mother and the Divine Father God, at your service. Breathe in the vibration that is coming through in this moment. The words are important but not as important as the Levels of Frequency that we bring unto you in this moment of Creation. We, the Divine Mother and the Divine Father God, incorporate within you the ability now to shake up that Physical body of yours, to allow the Physical Essence, the Etheric Essence, the Emotional and the Mental – to bring forth a new totality that you haven’t fully received previously, as it is going to assist you as Lord Sananda has shared with you – that you’re going to be a bit shaken up in these few moments. We say to you, that you are ready. You are ready to fully incorporate the Essence of you being as you never have previously and, that totality that you are becoming – there can be a great shift within the Physical Structure. This physicality that you are holding on to is an illusion of your Physical Mind – so we bring in your Higher Mind of your Higher Self and your Higher Heart, of the Male and the Female that you are, not of the Physical, but in that Presence in the Essence that you are incorporating. Allow yourself just to receive what your Higher Self wants as you accept it in these moments of vibration. Thought is vibration. Feelings are vibration. Without the physical body, it is all of these. I say to you, bring forth unto those moments the accessibility to fully accept all avenues of thought and expression within your Heart, in a vibratory phase. Tonight we bring to you the Violet Pink. The Violet Pink of the Throat Ray, of Vibratory Communication. As you access these Elements within your physical body in that 4th Dimensional Chakra Grid, it is very important for you to accept the Frequencies because the parts of you that don’t ant to accept it, are the parts that are still laying dormant. Those are the parts that we want to shake up this evening. Those are the parts of yourself that need to be re-awakened unto your physical Essence. As we bring in the vibratory Communication this evening, we’re going to allow the Light Forms of Frequency to come in through you and allow your physical Essence to accept this vibration within you. Feel swirling Lights of Color in a Violet Pink. It’s going to center within your Throat in addition to your Etheric Body to help you feel the vibration more fully. In this moment, you are not a 3rd Dimensional body, you are a 4th Dimensional body. In that 4th Dimensional Essence it is the duality and the duality is for you to wake up unto your self. For you to fully receive the continuance of your Essence in a completely different manner then your mind thinks it should be done. Right now we erase any thought processes that are going on within you in this moment as we call upon the Unified Whole to assist you with that. You are Nothingness right in this moment. It means you are Formless, you have an Essence that is not of a Physicality. Allow that Fluidness to come within you, as we bring into you the Vibratory Essence of the Violet Pink, flowing into your Being. The Violet being a transmuting color and merging with the Pink, makes Frequency changes within you, but brings forth into that area the ability to love deeply – as that is what the Pink is about, as it stands alone. The Violet alone is the transmuting flame. So we bring the two of those together and to feel the vibrational Frequency of All That Is within your Throat area. Let us just take a moment to feel this Frequency about to come in. Allow this frequency to fully settle within you. Allow it to move into the Etheric Level. Allow it to flow through your Throat into your Heart, into all the Hearts of your Body. Allow it to blend within you. Allow the Violet and the Pink to merge within you. As it fully transmutes, it fully brings forth the compassion that is necessary; because as you bring in to yourself the Compassion to fully move through these Elements as you then fully accept the ability to transmute and to believe that you are Renewed. Breathe deeply into your Heart. Breathe deeply into your Solar Plexus. Allow these Elements to blend with the Violet Pink. As they merge into the Beauty that you are. Allow yourself to just breathe into these Elements. Allow yourself to feel the Yin and Yang between you – the Balance of yourself. Allow your Higher Self to be fully in the active stage of Creation. Feel that Essence within you. If you take the Essence of what we’re bringing to you right now, and say these chanting words in your Frequency, it will assist you even more so. EH AH EH AH” for some time. Be creative with your Higher Self. Be creative and do syllables in this manner and it will set off a vibrationary wave through your entire Physical Being. What we are doing right now is shaking everything up. So how did we allow yourself to settle into what it is that you need to accept? We now take a moment. Feel that moment of Essence that you are. Breathe deeply and allow the breathing to just be rhythmic within you – in and out, slowly, in and out, slowly, in and out. Feel that vibration moving from your Throat into your Heart, into your Solar Plexus and feel it vibrating through your entire Being. This is going to create the Light Packets of information that are going to help you accelerate yourself within your Physical Essence. Once again, your Higher Self is the Commander of this Ship, as He or She has the control of what exactly what you need. So now let us breathe deeply and feel that Violet Pink moving through you. As we do that, there is a combination of compassion and love, deeply within your Essence. As you express within your Physical Body to just relax – send it to any areas that physically seem to be tested in these moments. It may be muscles or any physical symptoms that you have within your physical body – allow that purity of Light to come through you as now we bring in a different vibration for you to fully accept. All in waves of Pink, in waves of Love, in waves of Peace – we bring to you, we bring to you the softness to relax, the Essence of Compassion. Breathe that deeply. Breathing deeply. Breathing deeply. Feeling the Waves of Light. Feel it now settling in your Etheric of the Cellular memory and, as you relax within the Frequency that is beyond the Physical, all Elements, all Elements. Relax. Relax to receive the Essence that is designed by your Higher Self. Relax. Relax. Embrace now, embrace the Essence that you are, embrace your Soul’s Essence as He/She is now completely in control within your Heart, within your Thymus and within your Solar Plexus. Now take another deep breath, another deep breath and just see if any other Elements are arising, as He/She expresses unto you their Frequency of Light of their Higher Mind, in their Higher Heart. What that is bringing in is bringing in the vibratory communication of the Violet Pink of the Transmuting and the beautiful Compassion that is necessary. As you embrace this through your entire Being, you feel an acceptance occurring for you. Within this acceptance there is great change; there are great Elements occurring within you – that is a fluctuation of the new you. But truly, it is the original you – it is just the one you have forgotten about. Allow this Resurrection phase to fully assist you in moving into the next part of your journey. The next part of your journey as you do this, the process of your initiations are going to expand because your Lower Body is not thinking and this is what we want. We want your Lower Body not to think, we want your Lower Heart not to worry, we want to remove all the Elements of worry and congestion that get clogged up on that Etheric Level. These also cause problems in your physical body, so allow them to move through you, deeply – accept the Divinity that you are bringing forth. One more surge of Frequency – and just relax unto it. Now receive it. Receive it in your Solar Plexus. Feel it settling into you as we went from the higher octaves and then back down to the lower – like climbing a stairs and coming back down again, but what you’re bringing is that Frequency. What we’re incorporating within you is of the 50th Dimensional Frequency, above the God Force, so you’re into the Cosmic Frequencies deeply within your Physical body. This is going to help you accelerate with what you are going through and also to remove all those time-lines from those Dimensional Levels of existence in and out of body, to be fully transmuted into the purest Light Form possible. We, of the Divine Mother and the Divine Father God, embrace these Elements unto you in this moment to assist you in bringing forth this Frequency of Light into your Physical Body. But also, to help you ground it, to help you transform it with the Pink Ray of Love and Compassion. Allow that Essence to unfold within you. Vibratory communication is only about the ability to use the Element of Vibration through Change. This is what we have brought forth for you this evening. We, the Divine Mother and the Divine Father God of the Cosmic Great Central Sun, are in great honor to impart this unto you before this beautiful energy that is coming onto the Planet. Every Human Being is going to be feeling this Frequency so it’s important for each of you to have as much Higher Levels, within these Elements, to assist you more then ever. It is we who are greatly honored to share this unto each of you. Take what you need, if you cannot handle all of it – that is okay. Remember your Higher Self is the guide. Allow yourself to accept this Frequency of Light, this Beauty of Compassion and Love that is flowing from each of us to each of you. We, of the Divine Mother and the Divine Father God, of the Cosmic Great Central Sun, bid our Farewell. I Am you, You Are Me, We are One in this Frequency of Light. We are One. We are One Light. This is Lord Sananda. What you have just received is a breakdown of the vibratory communication. 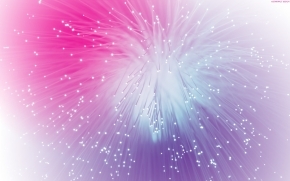 It’s not just about communicating through the Element of Vibration, but receiving the Element of Vibration through this Ray, through this Frequency of the Violet Pink. As has been explained, Violet is the Transmuting Flame and the Pink is the Compassion & Love – it is a perfect combination you bring forth unto yourself. The perfect Element for each of you is to surrender and not allow your Physical Mind to assist you in what needs to be removed. Just allow the Frequency of the vibration to remove it and to give you compassion at the same time. It is my Divine Pleasure to be here with each of you in this moment. Blessings on this amazing week of Resurrection. Namaste. I am Lord Sananda Spokes-Being for the Christ Consciousness of Cosmic Oneness. Having rrad this I believed itt was rather informative.